Whether you bang it hard or slip it in slowly, a game of golf has something for everyone. We suggest you gather your crew STAT because our Golf Day is going to be the best ball action you can find fully clothed. Just remember, it’s all in the hips. Holey moley. Those might be the first words to slip out when you lay your eyes on this beauty. We’ve found the mother of all golf courses, and she’s yours for the taking. 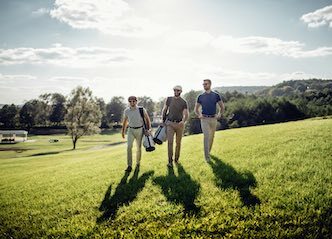 We’ll kit you out with all the gear, so you and the boys can spend some quality ball time together. Even if you’ve never picked up a golf club in your life, we promise this day will be totally above par. When you’ve finished practicing your position and playing with balls, you’ll be all limbered up to hit the nightlife. When else are you going to have the opportunity to go for a swing of golf on a Sunday without being nagged to stay home and do housework? Every guy loves a bit of competition. This is the sort of game that seperates the boys from the men, so you’re going to want to take a good swing. We can’t promise anything more than bragging rights for the winners, but isn’t that what it’s all about? We hear “I’m a pro golfer” is a pretty tried and tested pick up line. If you can’t win some hearts in the bar afterwards, then it might be time to give up. This is the perfect bonding session. You can do the lazy-man trick and hire a buggy to get between the holes, or you can take your time to enjoy the stroll and bond with your mates. You’re guaranteed to leave with a bromance that rivals the cast of The Hangover. Boys, Beers and Balls. It’s pretty much the recipe to success. There certainly isn't much that beats a day on the course with your best mates unless of course you throw in our famous 'Wicked Bowls Bunnies' to grab the beers! 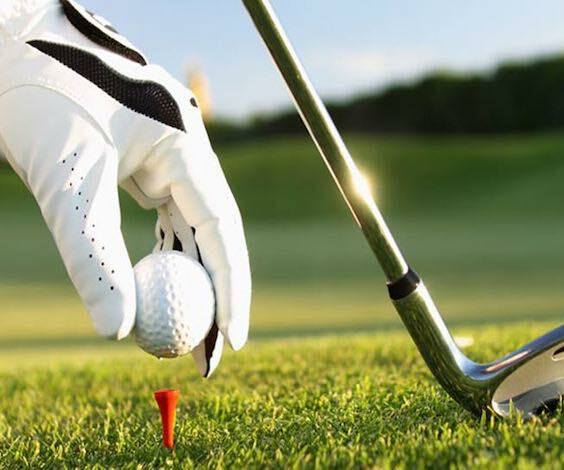 Our "Melbourne Bucks Golf Package" also includes return transfers, nine holes of golf, and luxury accommodation smack dab in the middle of the city! Sure to be an amazing day full of drinks, laughs, girls and golf! Melbourne is the type of place that you can drop in for a weekend and leave a month later, feeling like you’ve travelled around the globe. As one of the most multi-cultural cities in the world, Victoria’s capital is a melting pot of cultures, traditions and cuisines. If we’ve learnt anything from this, it’s that you’re guaranteed to find a killer souvlaki on your 3am stumble home. Melbourne is also the home of all things sport. A trip to the Melbourne Cricket Ground on a Friday night is basically sacrilege for locals. Whether it’s AFL, cricket, soccer or rugby, the stands are always packed with passionate fans – all screaming like they’re at a grand final. If you’re more of an adventurer, Melbourne has you covered too. Just a quick trip from the city is the postcard perfect Great Ocean Road. You can check out the waves at Bells Beach, one of Australia’s famous surfing beaches and home to the Rip Curl Pro competition every Easter, or take in the rugged coastal scenery on the Great Ocean Walk. Whatever it is that makes your heart sing, you’re bound to find it in Melbourne. You won’t need to look too far because Wicked Bucks is here to do all the hard yards for you. All you need to do is round up the boys and brace yourself for a celebration to remember.